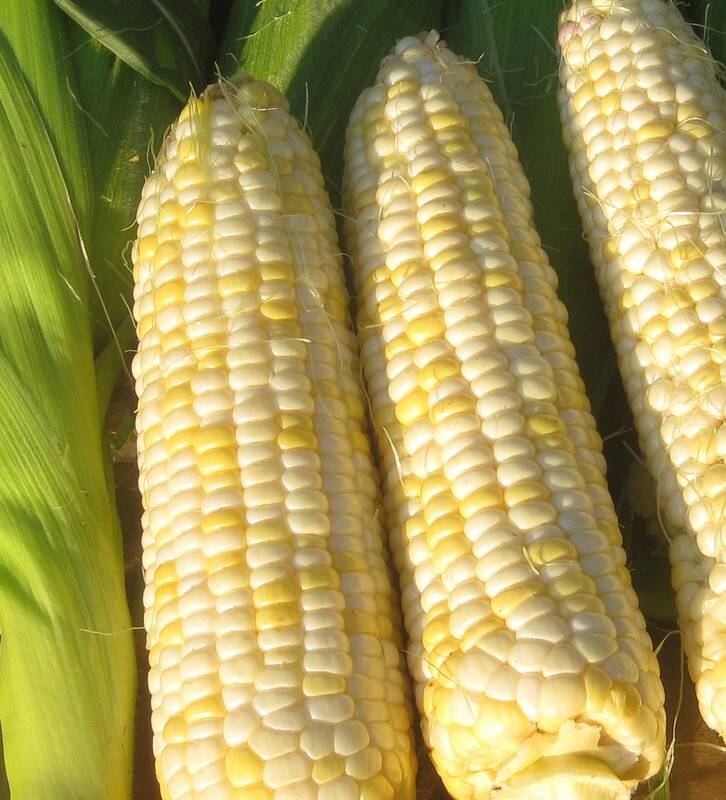 This open-pollinated sugary-enhanced (se) sweet corn is the result of a cooperative breeding program headed up by the Organic Seed Alliance and the University of Wisconsin. It is at the forefront of a return to open-pollinated corn breeding, and has the distinction of being the first new open-pollinated sweet corn variety to be publicly released in 100 years. Bred specifically for organic production, Who Gets Kissed has good cool soil emergence, 6’ tall plants, with 7” ears that fill in well. Bi-color with an occasional yellow ear. Consistently sweet and tender when ears are harvested and eaten as soon as they ripen. Fortunately the harvest window is long, ensuring many memorable meals. Please note: price is slightly higher for this variety because bulky seeds require heavier packaging and higher postage costs.